Anyone who is involved in managing projects in a highly volatile business environment that requires a scrum methodology and would like to be certified as a Scrum Master. Register before 06 Apr 2019 for 10% discount per person. This two day Scrum Master Certification Program is a hands on interactive and highly practical approach in preparing participants for the Scrum Master Certified Professional, SMC™ exam. This is done primarily to ensure that they have achieved sufficient understanding of how to apply Scrum in the projects and to tailor Scrum in a particular scenarios that they face when undertaking projects. This Scrum Master Certification program conducted by Sharma Management International, a Registered Education Provider for Scrum Study and delivered by Dr Rumesh Kumar, a Certified Scrum Trainer, aims to do just that. 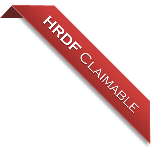 The course materials are aligned to SBOK requirements prepared by SCRUMstudy. Successful candidates will be awarded the Scrum Master Certified (SMC™) certification by SCRUMstudy after passing the certification exam. The documented pass rate for this course is 99%. 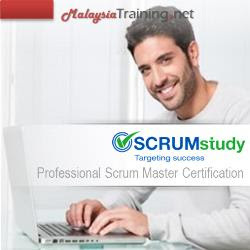 For more details on SCRUMstudy, please visit http://www.scrumstudy.com. This certification seeks to confirm that the applicants have gained sufficient ability to apply Scrum in projects that are being undertaken and have the capability of tailoring Scrum to suit different projects.